LINEAMPS system successfully delivered to Nigeria, Africa for the dynamic line rating of all lines in the transmission network of the region. 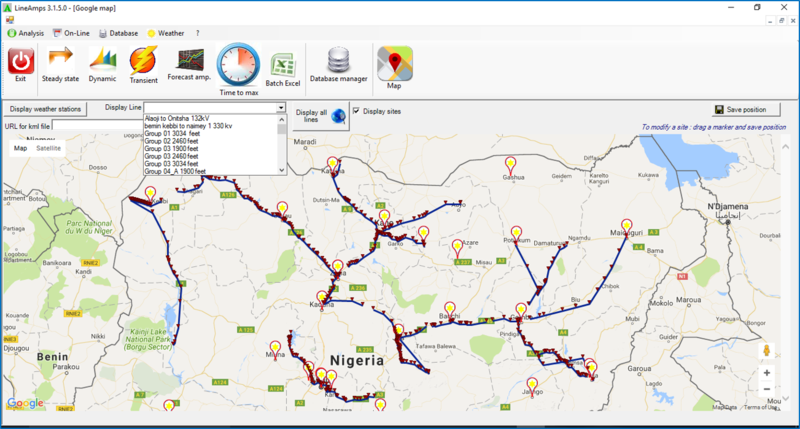 The LINEAMPS system was realized most economically by internet based real-time weather data acquisition from several weather stations in the region and transmission network geographical information system using Google map. It is expected many African nations and developing countries who are in need of electricity will use LINEAMPS to enhance transmission network capacity and add additional power generation to their existing infrastructure. One of the highlights of this global 2016 conference was the session devoted to Smart Energy. LINEAMPS presentation at this session focused on the New System of Dynamic Line Ratings offered by LINEAMPS for SMART GRID & SMART CITIES applicable to the entire Middle-East region. LINEAMPS delivered to power company in the Los Angeles area complete with dynamic ratings of overhead lines and underground cable circuits. 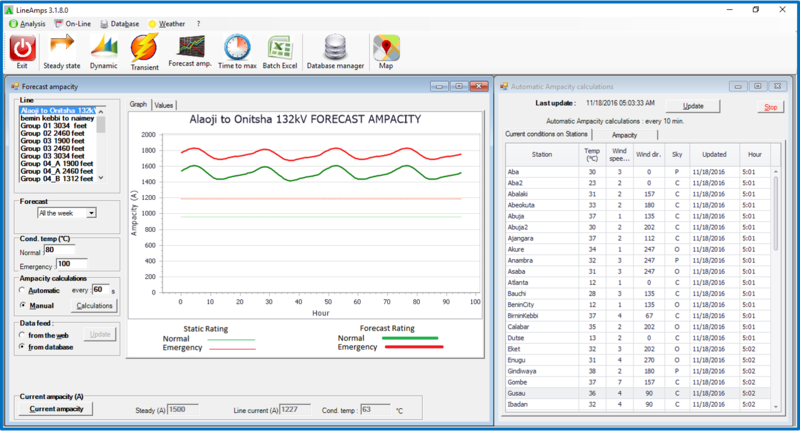 With public concern for high voltage overhead power lines and land use in metropolitan cities many smart cities are incorporating the LINEAMPS model for dynamic rating of transmission and distribution networks. LINEAMPS displays transmission lines, substations, line ampacity, actual line currents and temperatures of network elements, and weather stations in industry standard Google map.